Now get here on this page Pune University MCA Entrance Exam Details because here on this page we have mentioned full important details regarding Pune University MCA Entrance Exam Details. Pune University is ready to take entrance examination for admissions in post graduate course of Computer Applications. The University every year commence admissions is various degree courses in different streams. Many students who completed their graduation and want to pursue higher level education that is, post-graduation in computer applications, then it is the right time and great opportunity for such students to apply for the exam before the last date of application submission. The University begins the admission process for MCA course which is 3 years duration course and on regular basis for all eligible candidates from all over the nation. Interested candidates can apply for the course via online mode on the official website of the Pune University. But before that candidate must go through with the detailed information about the Admission process in MCA course that is, Age, Eligibility, Important Dates, Exam Pattern, Syllabus etc. 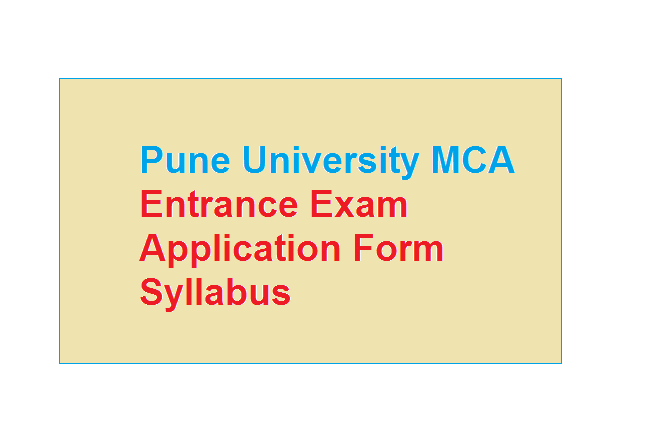 Now check & download full detailed info regarding Pune University MCA Entrance such as Application form, Syllabus, Fee Structure and placement after clearing this exam. If candidates meet the eligibility and age related criteria then one can apply for the course. If any candidates send the application and do not meet the requirements then authority will cancel the application at any point of admission process. In this article we have given all the details regarding the Admissions in MCA course which may help you to get information at its best. 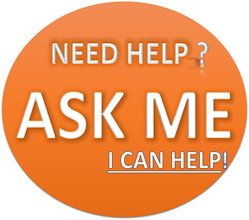 Candidates should also visit the official website of Pune University for latest updates. The University has begins the application process on its official website. Candidates can fill the application form via online mode on or before the last date of submission. Candidates will be selected on the basis of entrance examination which will conducted by the admission cell of University. Only the qualified candidates will get opportunity to take admission in University. Only those candidates are eligible to pass the graduation in science with Mathematics as one of the subjects in 12th examination or one who passed the BCA degree course from any recognized university/ college. Reservations will be provided for SC, ST. OBC,DT/NT and for candidates of Maharashtra domicile as per the government rule. The candidate’s age should not be less than 20 years at a time of submitting application. The Examination consists of objective type multiple choice questions which cover the subjects like Logical Reasoning, Mathematics, General Aptitude and English language. Set theory – Set operations, relations, functions. Propositional logic – Formulation, deduction, evaluation, puzzles. Co-ordinate Geometry and Conic Sections- Equations of lines and planes, vector products; definitions and properties of conic sections. Trigonometry- Identities, computation of heights and lengths. Differential Calculus- Total and partial differentiation, limit of a function. Integral Calculus- Definite and indefinite integrals, solution of differential equations, computation of areas and volumes. Series and sequences- sum, mean, convergence, limit. Real and complex numbers- surds, solution of equations on complex domain. Polynomials- solution of quadratic equations, properties of roots of polynomials with real coefficients, binomial expansion, Taylor series. Elementary Probability Theory- Computing probability from combinatorial reasoning, conditional probability. Here we have provided main-main info regarding Pune University MCA Entrance Exam Details and download syllabus in pdf and other main info regarding Pune University MCA Entrance Exam 2018 just visit official website of unipune.ac.in. Is the application form For mca over? online application forms for MCA entrance is not yet available @official website. Can u tell ,please last date of filling application form for MCA entrance? Link are not available yet when released link to fill application form please do you have any suggestions. links are not available yet and last date is on door.. We want to fill the form for mcs,What shall we do?????? Just stay connected with official website of Pune University ( campus.unipune.ac.in ), so you can get latest news related to MCA Entrance exam 2018 information. When is the MCA form going to be published? Exam is just few days away and the form has not been released yet..
Sir When will start MCA Entrance Test. Hello Mayur Shinde, i can’t understand what you want to say, you can apply for any MCA entrance examination 2018 if you have completed your BCA.